So-called unlicensed LTE has come under fire ever since the news about it first broke more than a year ago. The charge: If mobile operators adapt their LTE networks to use frequencies that Wi-Fi depends on, Wi-Fi users will get squeezed out. The two sides are now working together on standard tests to tell if a given unlicensed LTE radio unfairly interferes with Wi-Fi. Meanwhile, Qualcomm, the biggest cheerleader for the new technology, just got permission to try it out at Verizon Wireless facilities in Oklahoma City and Raleigh, North Carolina, the Federal Communications Commission said Friday. The industry group Wi-Fi Forward promptly declared the FCC should closely monitor the experiments. But the real future of unlicensed LTE lies in a frequency band that Wi-Fi doesn't even use, according to Dan Rabinovitsj, chief operating officer of Wi-Fi vendor Ruckus Wireless. The form of unlicensed LTE that's been under fire is designed only to augment mobile operators' regular, licensed LTE networks. New versions will be able to operate purely in unlicensed spectrum so businesses and startup carriers can use it, too. "It's the Wi-Fi-ification of LTE," Rabinovitsj said. Aside from its alleged incompatibility with Wi-Fi, LTE is a refined and readily available radio technology that uses spectrum more efficiently than Wi-Fi. It has specific advantages for enterprises, Rabinovitsj said. One is that LTE is better suited than Wi-Fi to carrying voice calls. That's part of what the technology was developed for in the first place, as carriers looked toward a future without the circuit-switched 3G networks that have handled voice calling as LTE has been rolled out and used for data. Voice over LTE, designed for higher sound quality than 3G, is now being gradually deployed on carriers' networks. LTE could also help companies get all their guests onto the local network instead of making them rely on mobile operator networks that may be too weak indoors, Rabinovitsj said. Today, some visitors will use a guest Wi-Fi network, but not everyone joins in. It can be easier to bring them all onto an LTE network, he said. This would be a particular plus in hotels, where Ruckus sells a lot of Wi-Fi networks today. Before any enterprise can take advantage of the 3.5GHz band, of course, smartphones and other mobile devices will have to have radios that can use those frequencies. That will take a few years at least. But for Ruckus, which today is a major supplier of unlicensed carrier equipment in the form of Wi-Fi, this new form of LTE in the newly opened band could be a big win. 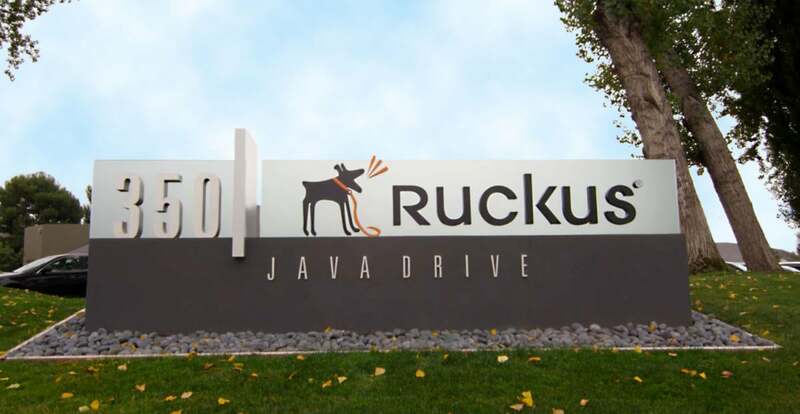 If the future of 3.5GHz is as bright as Ruckus believes, look for others to jump in, too.